Here's my annual list of the notable films I saw this year. Paul Thomas Anderson’s film of the Thomas Pynchon novel, which I’ve never read. 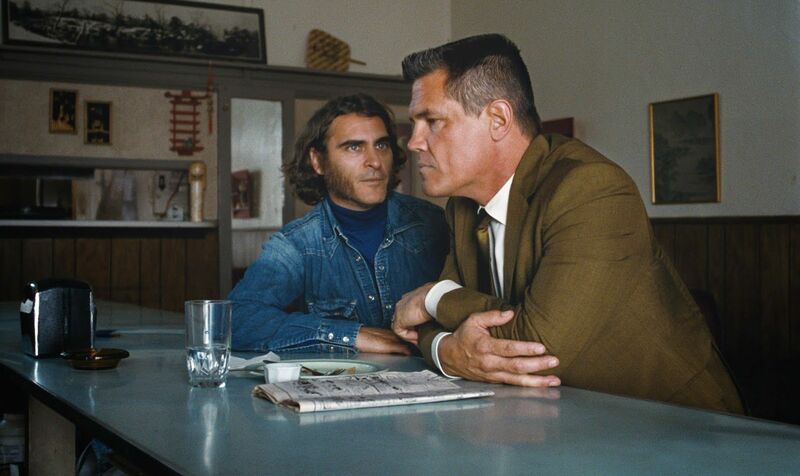 Anderson, after going for more sweep in stories like There Will Be Blood and The Master, takes on an offbeat detective story set in 1970, with Joaquin Phoenix as the drug-loving gumshoe. The plot was secondary as we get a very convincing SoCal travelogue of the times. 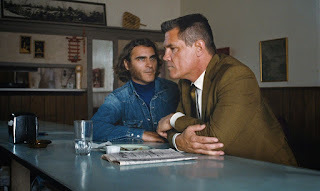 Complete with washed out colors and love beads, the generation gap plays out between Phoenix’s character, Doc Sportello, and the by-the-book detective played by Josh Brolin, who’s all square jaw and conformity, until he reveals a taste for some of the pharmaceuticals of the day himself. I found myself enjoying the trip while keeping up with the plot at a stoner’s pace. 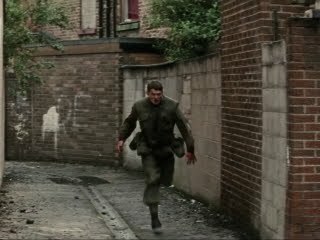 The early ‘70s theme continues as we jet over to Northern Ireland, where a British soldier stationed there is caught behind enemy lines as a tense situation spirals out of control. 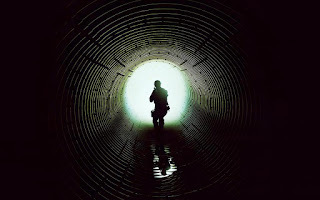 The story follows him throughout the night as he tries to make his way back to his barracks. 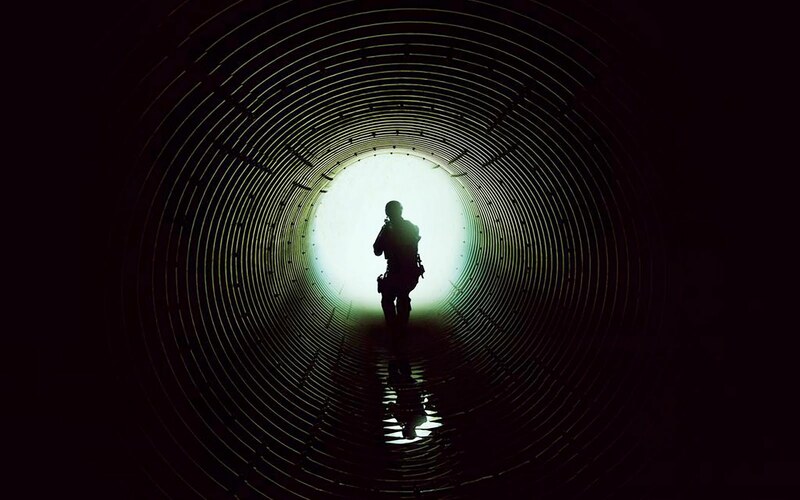 Everything is in the shadows as we get a glimpse into the IRA camp, and how the British secret service plays a key role in rescuing him. An interesting view into a situation that was very bloody and seemingly hopeless up until a very short time ago. The follow-up to the first film, this one also directed by Joss Whedon. Not quite as good as the first, but worthy for its introduction of the Vision, one of my favorite members of the team. It takes most of the film to get him up to speed, but when he finally is, Paul Bettany does a great job of capturing his inhuman mystery. He looks to play a bigger role in the next film. Can’t wait to see what the Russo brothers do with him. 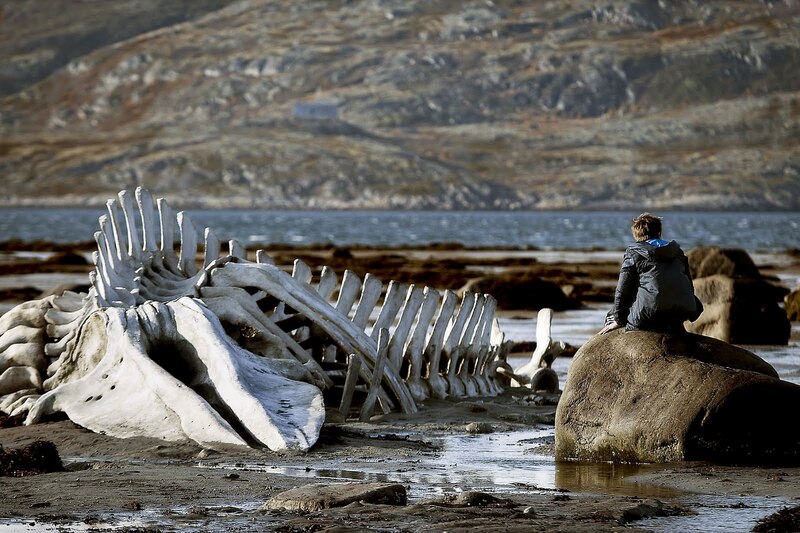 A Russian film about a man and his family who live in a coastal town and the mayor who wants to take their land. The man decides to fight the power, and learns just how dangerous that can be. 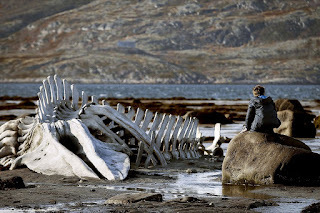 The beautifully bleak landscape is the backdrop to a bleak story about how the little people are the ones who most often lose out to the whims of the well-connected. The movie has a distinctive Russian flavor and goes down like sharp vodka. The premise about very human-like robots among us is popping up more often in entertainment. This one looked promising, as it depicts a young man who is selected to meet a prototype and determine if he can tell that she is not human (also known as the Turing test). The rich creator, played capably by Oscar Isaac, comes on at first as a bro, then a slimy manipulator. Ultimately, the story devolves into yet another tale of robots gone bad, planning their eventual takeover. I was hoping for more of a smarter depiction of how humans will react when they meet one of these convincing machines. How will we short circuit when that day arrives? It’s a far more interesting question. My favorite film of the year. 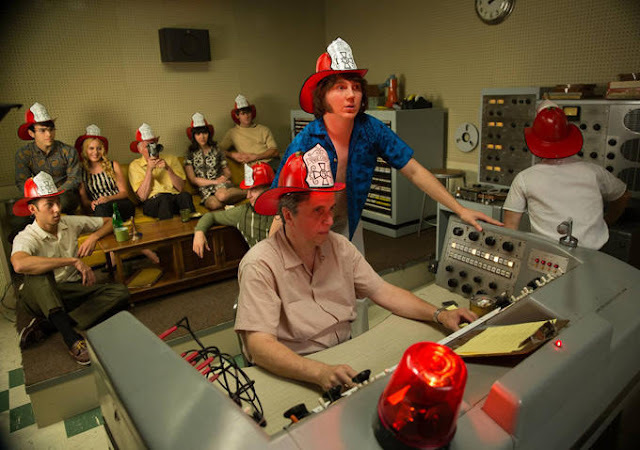 It’s the sympathetic tale of Brian Wilson, founder of the Beach Boys and inventor of a musical sound from the ‘60s. The movie alternates between the mid-80s, and the time when Brian and the Boys were recording the seminal rock album, Smile. We see the mental issues he’s had to deal with over the years, and how the seeds for these were sown back in his most creative period. Smile has had a mythic reputation over the years, and the director Bill Pohlad takes us back to that era with double-take authenticity. Paul Dano is excellent as the young Brian Wilson. It’s a beautiful film about a music legend, and the high price that soaring so high creatively can exact. It’s 1976 on the Red Crow Micmac reservation in Canada. Aila is a weed dealer, trying to make money so she can stay out of the hated residential school. Her imprisoned father comes home and her world is turned upside down. Trouble finds Aila and her friends and they have to fight to stay out of the school. They take on the cruel Indian agent, finding strength in their traditional ways and their ancestors. This movie was originally released in 2014. A new take on the werewolf movie, with a young Danish girl inheriting a peculiar family trait from her mother, who has her own troubled history with it. As Marie goes through puberty, the changes become more pronounced, and the town mobilizes in an attempt to corner her before she does more damage. I loved the stormy, North Sea atmosphere, which just added to the sense of foreboding. It’s the old metaphor of children becoming adults and the loss of innocence. But it’s stylishly rendered here, and worth a watch. A tale from the headlines, as we follow a young FBI agent into the Mexican drug war, fueled by Americans’ insatiable appetite for the product. It isn’t long before she sees what she feels is improper conduct, and she begins to regret her decision to join the fight. We ride along as convoys dip across the border to conduct raids or pick up prisoners. The tension is very effectively conveyed and you’ll find your eyes darting around the screen, trying to pick up any threats. A very relevant and taut thriller. This probably won’t be the last film about the 2008 recession, but it’s certainly one of the best. 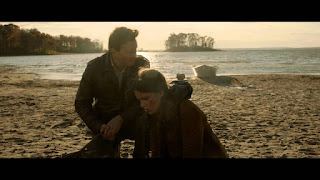 Based on a nonfiction book about the crisis, this movie seeks to educate viewers about what happened that year as the economy melted down before our eyes. It breaks the fourth wall frequently to do so, and even uses humor to leaven a heavy subject. Seven years removed from the tragedy, it’s just a bit easier to laugh about what happened. Seeing the whole house of cards explained though, and how money can be such an ephemeral thing in some instances, gives one pause. With little done to prevent a recurrence, when will it happen again? 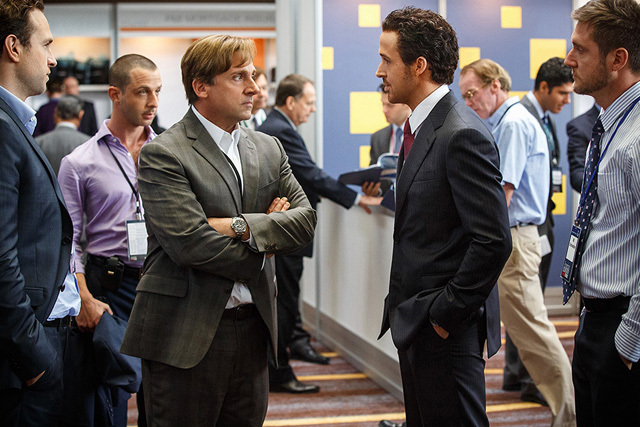 Steve Carell gives another fine dramatic performance here.